You may have heard of Title Boxing Club – if not, it’s time you did. This state-of-the-art boxing gym has locations all over the country and quite the national following. Huntington is lucky enough to have one right on Main Street. Which means we’re thinking there are no more excuses for not trimming down, muscling up, and burning some serious calories this Spring. Take the fitness plunge with the help of expertly trained, diligent, and caring instructors who will show you the ropes (or should we say gloves?). We have just the deal to help you do it! Title Boxing Club’s Huntington location is running a heart-pumping deal on two weeks of unlimited boxing and kickboxing classes. Pay only $29 for this remarkable $75 value and get ready to get in shape! You can make the change today. Through this promotion, you'll also derive the benefit of FREE ENROLLMENT IF YOU SIGN UP DURING THE 1st WEEK OF YOUR TRIAL - this represents an additional $99 Savings! 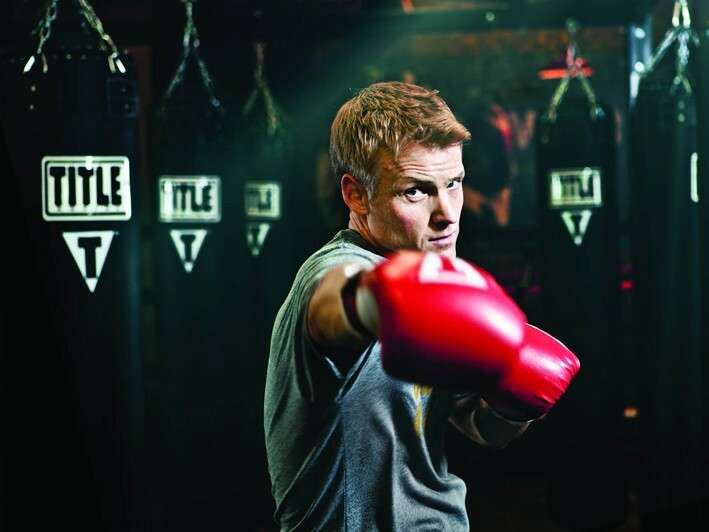 Boxing and kickboxing classes are designed to help you see results – and fast. Burn fat and major calories, get your heart rate up, build muscle, and watch inches disappear. Whether you’re a beginner or ready to rock at a more competitive level, instructors will customize the workout to ensure everyone in class is getting the most out of it. When you want to make a change, there’s no time like the present. And with this sweet deal, it’s time to get in the ring and battle your most appointment opponent – any shred of self-doubt you’ve been hanging onto. - From Main St, turn onto Clinton Ave. and park in that lot, we are to the left side next to the Community National Bank. - Take Wall St. or New York Ave. North and Turn Left onto Gerard St. Go past the AMC movie theater and Turn left into the parking lot directly across from the post office and you will see our sign to your right. TITLE Boxing Club Huntington is an exercise gym that offers energetic group fitness classes centered around boxing and kickboxing.